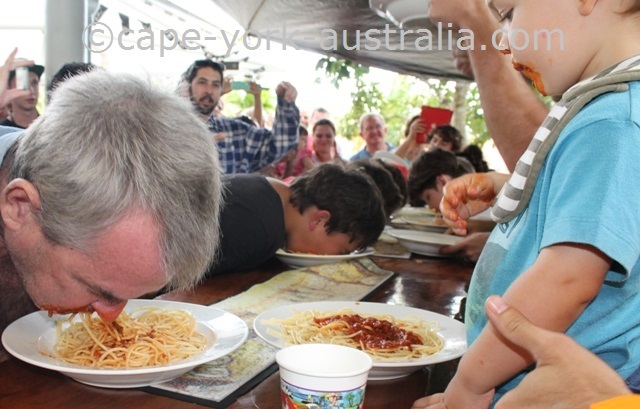 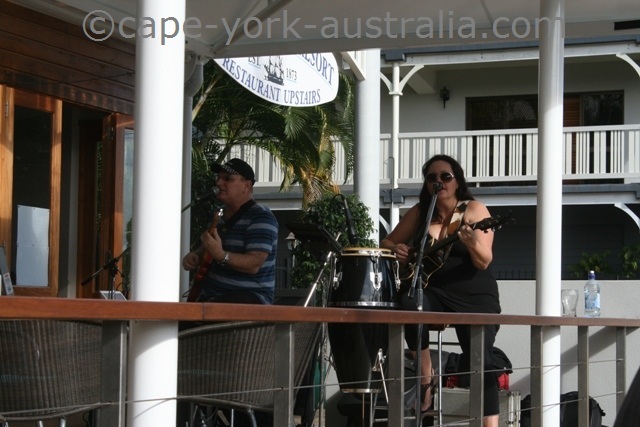 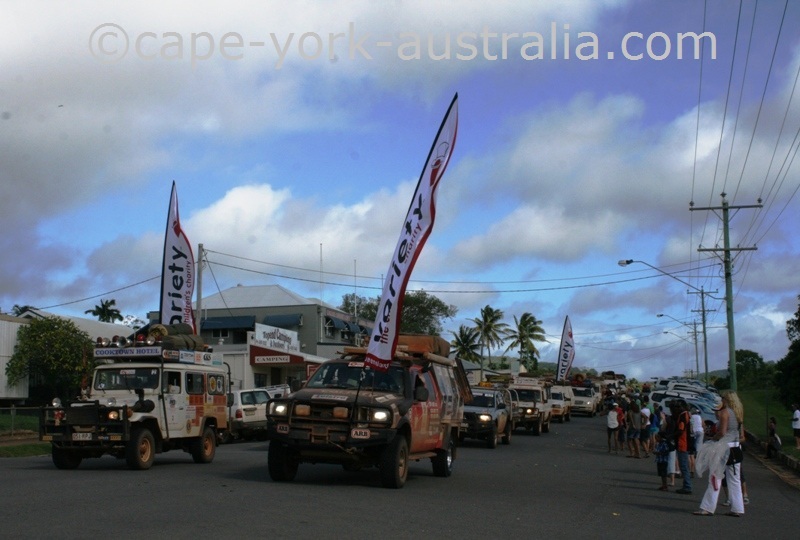 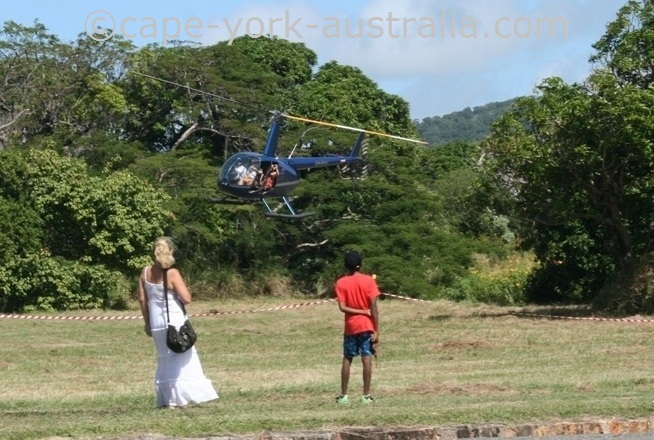 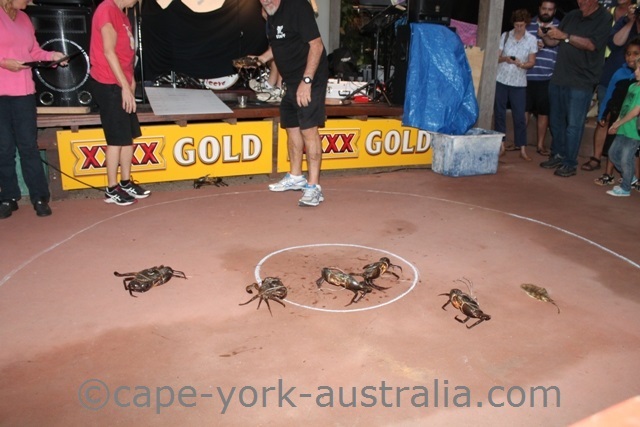 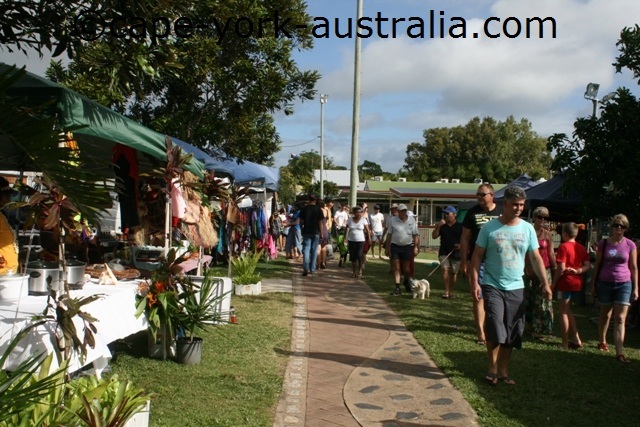 Cooktown Festival is one of the best events in Cape York. 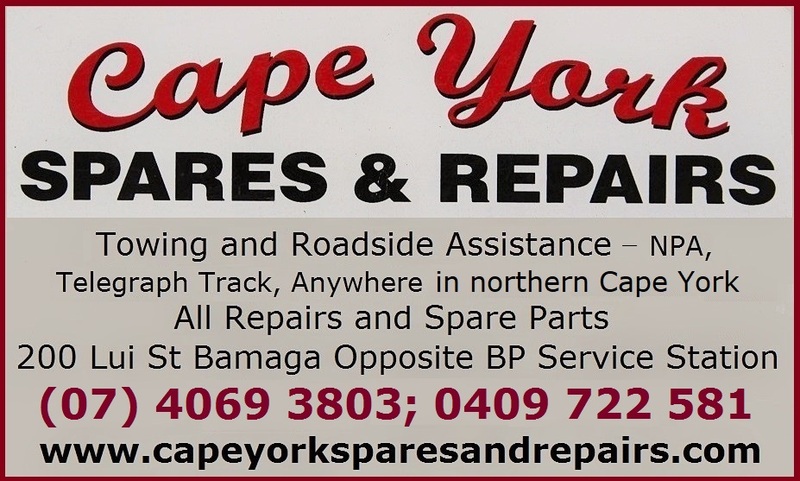 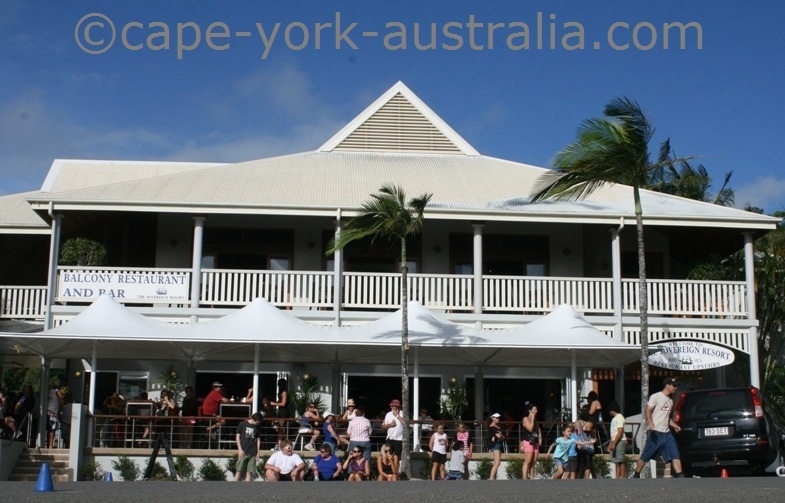 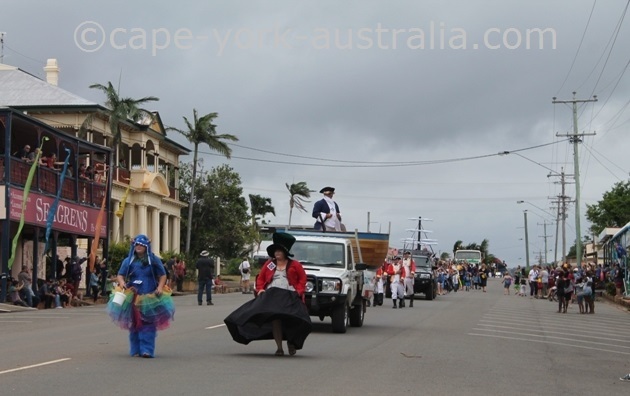 Along with Laura Dance Festival and Torres Strait Cultural Festival it is definitely one of the three best events on the Cape York peninsula. 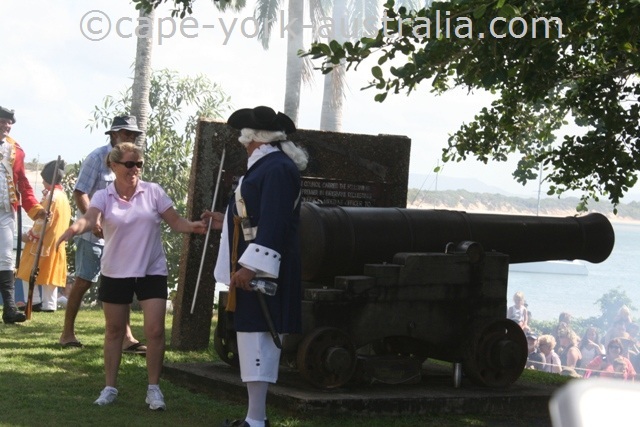 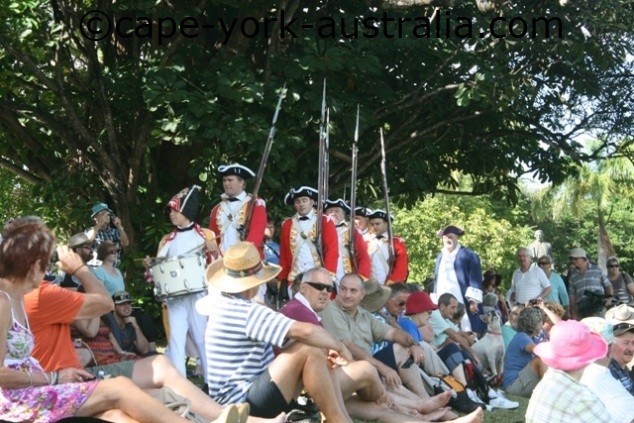 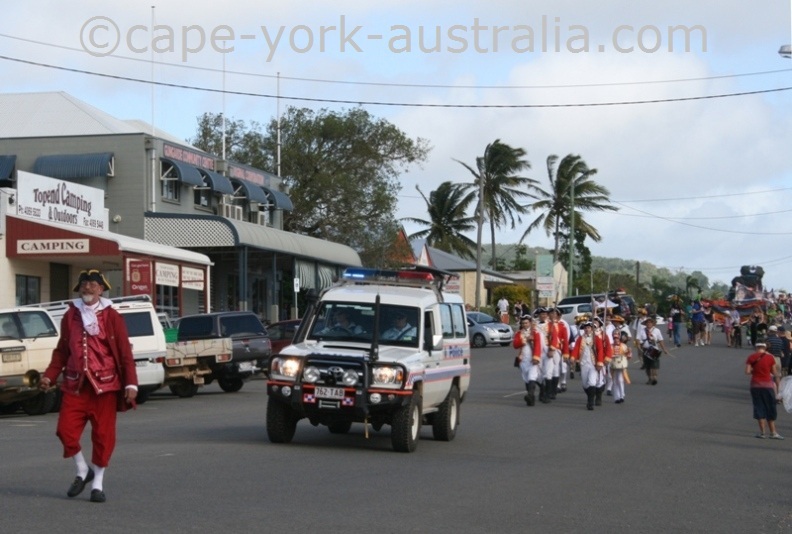 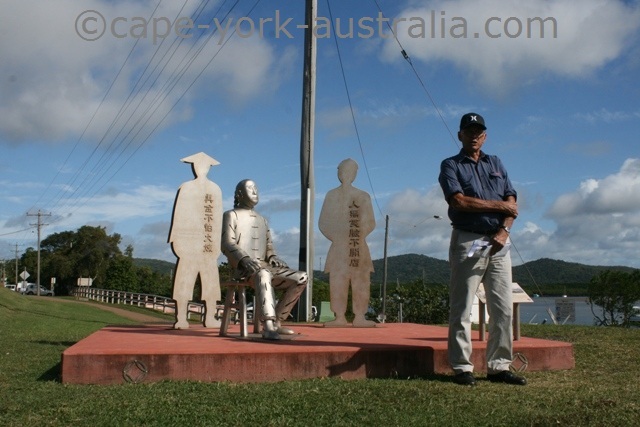 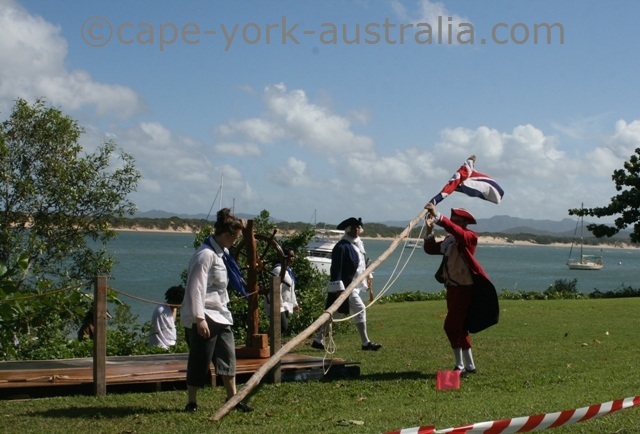 The three day festival is held in mid June, and its absolute highlight is the annual re-enactment of James Cook's landing, and the events that followed during his eight week stay. 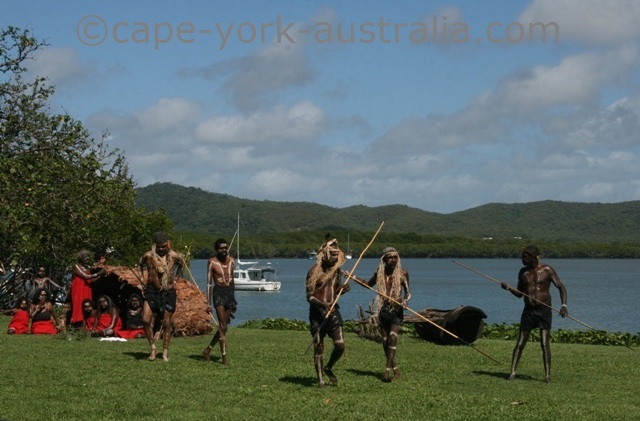 The costumes, and the actors are fantastic, and also include the local Bama Aboriginal People. 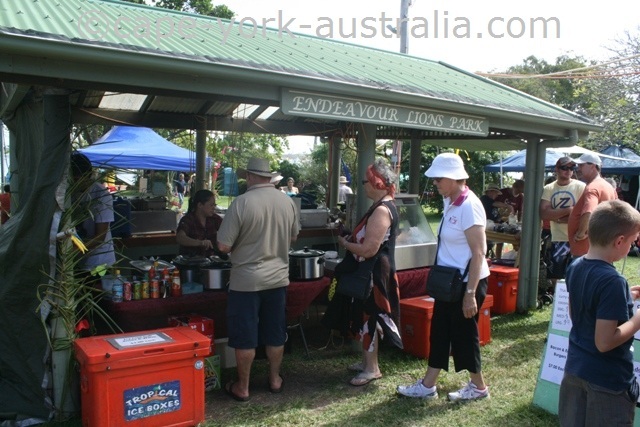 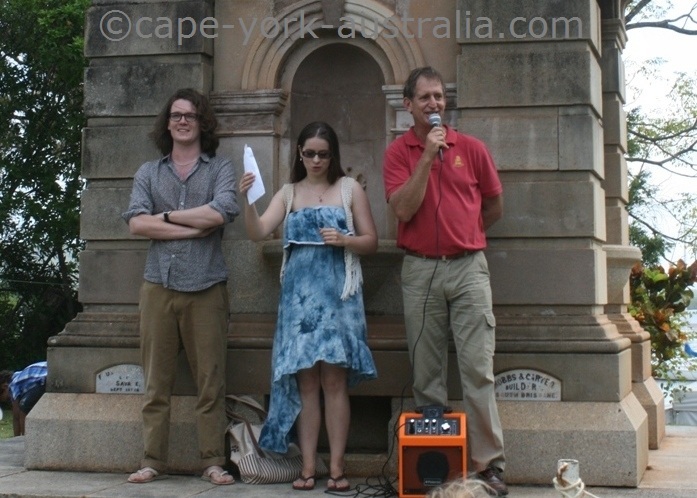 But what else is at Cooktown Festival? 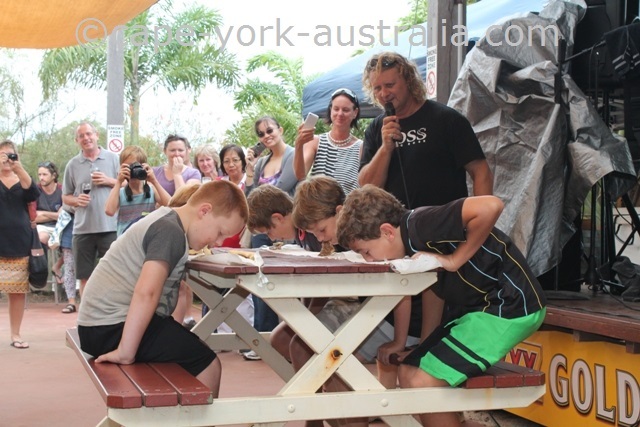 ... kids, and Bama - the local Aboriginal people. 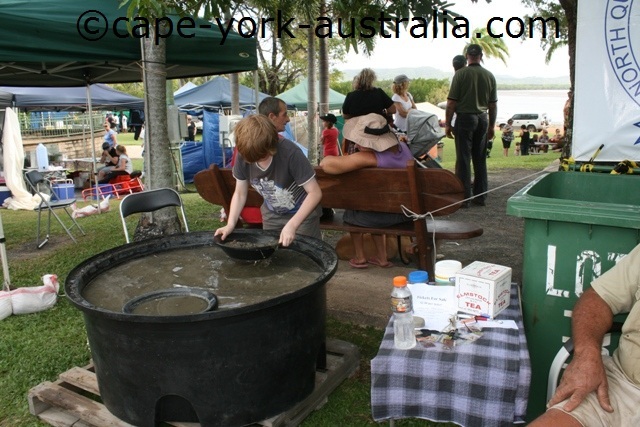 ... family movie, kids activity tents, and lots of fun in Lions Park. 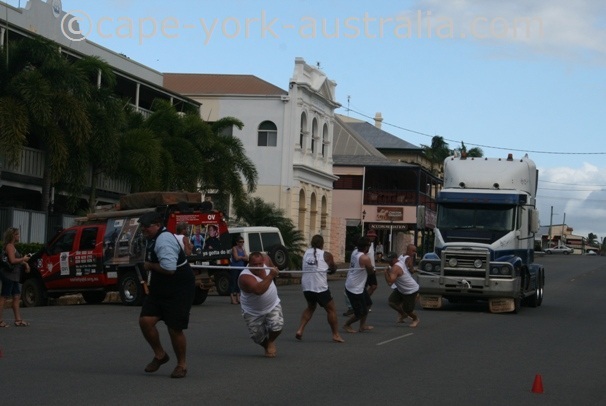 There is lots of fun at the pubs, ..
... including the annual Billy Kart Derby, Tug of War, truck pulling, Wet Tshirt and Wet Jock Competition (LOL it was late and I was already in bed but I was laughing loud just hearing the crowds :-). 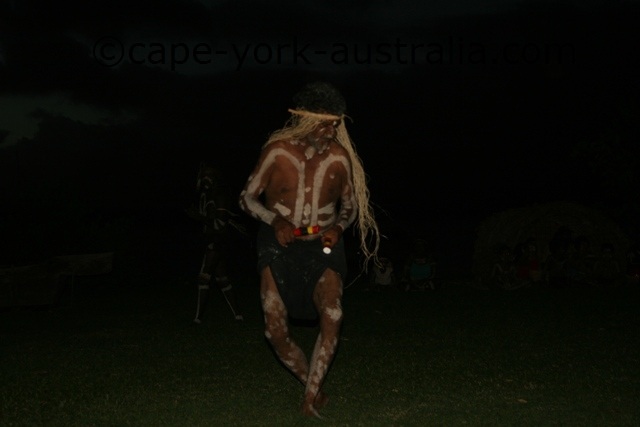 ... and fantastic performances by belly dancers as well as by the local Bama Aboriginal People, with some great artwork for body painting. 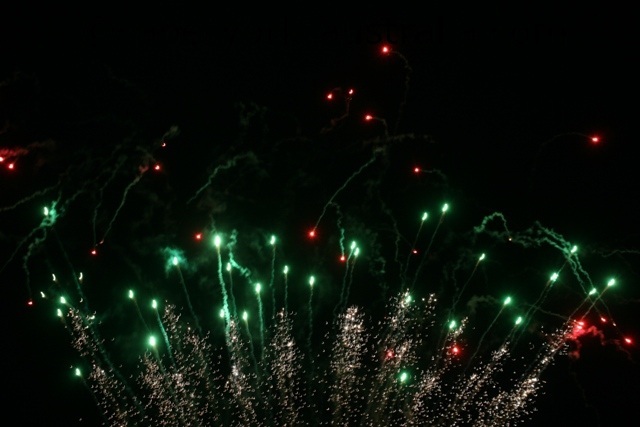 And of course, the Cooktown Festival fireworks.. 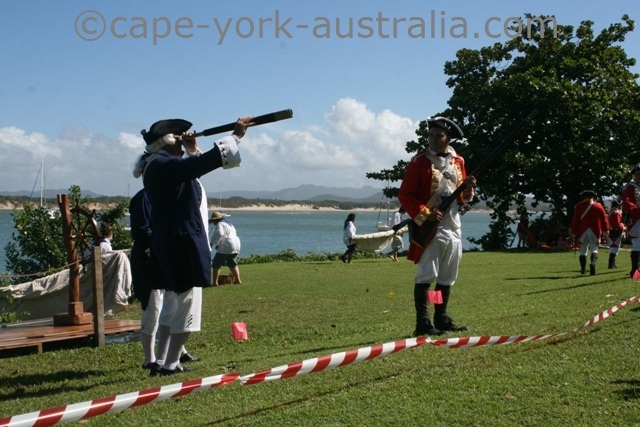 But one thing that you won't see anywhere else except at the Cooktown Festival, is the re-enactment. 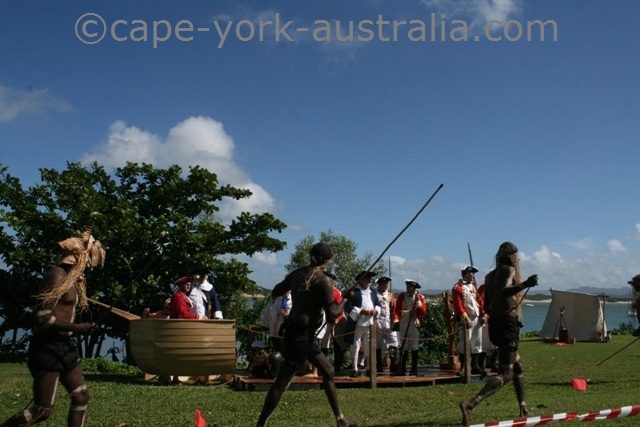 It starts with the re-enactment of a traditional gathering the way Aboriginal culture was around the time of James Cook's arrival. 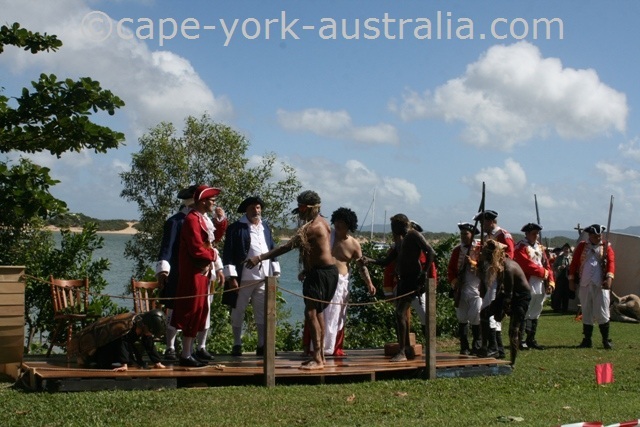 Then, James Cook steps into the scene (the whole thing is actually more detailed but here is a short version). 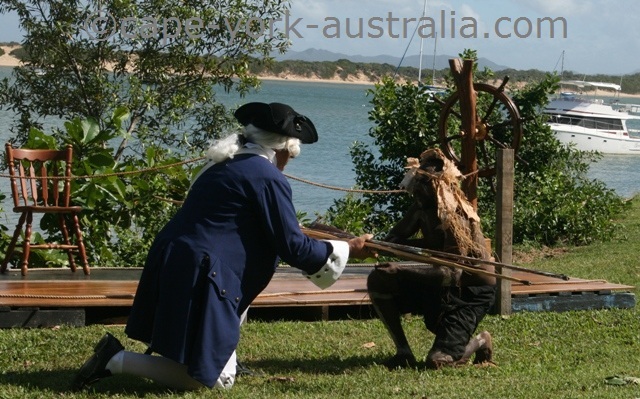 After a while, the traditionally clothed Aboriginals go checking the ship out..
... and find they have a sea turtle onboard, which is Aboriginal food. 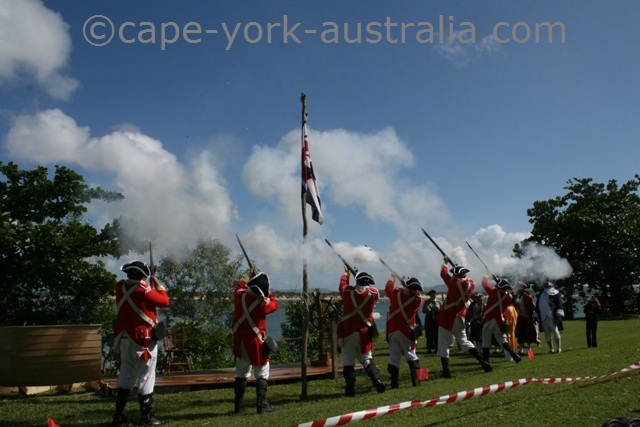 They don't like it so there is a confrontation in which Cook's men take their spears. 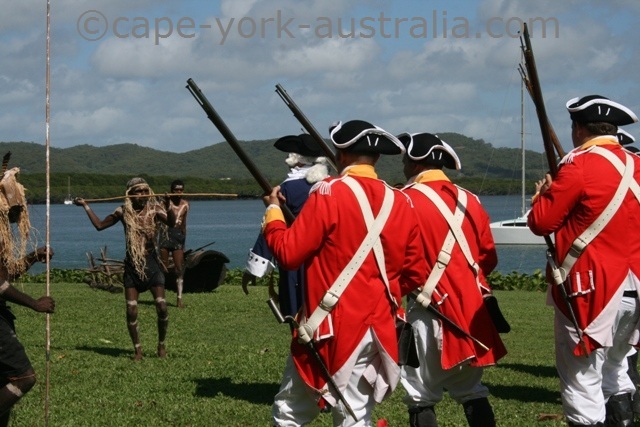 Captain James Cook later returns the Aboriginal weapons, making peace. 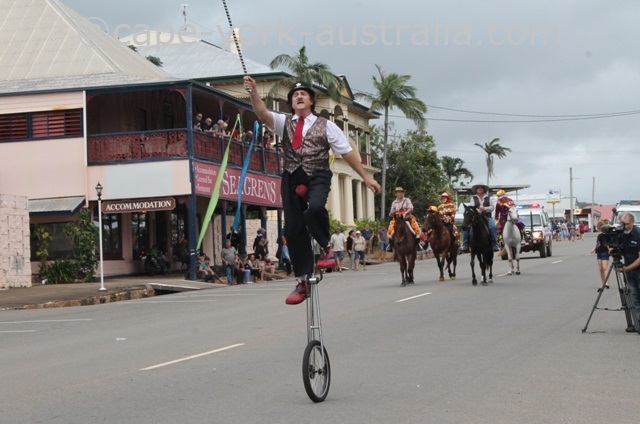 Cooktown Festival is great, it was one of the better weekends I have lately had.